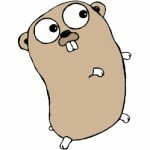 This week Google launched Go, an open source programming language that seems really promising. I've been messing around with the weekly builds but now the Windows build is production ready so here we go. After downloading and installing the package, the next obvious step was to look for a IDE. There are few choices out there but after trying almost all of them nothing really worked as I've expected. The only one that raised to my expectation was Sublime Text 2 + some 3th party plugins to really have it going. Ok. So now let's make it happen. First thing first. If you didn't already installed it, this is the first step. Go to http://code.google.com/p/go/downloads/list?q=OpSys-Windows+Type%3DInstaller and download the appropriate package for your machine. Sublime Text is a commercial product but it can be used for evaluation purposes. So go and download it from http://www.sublimetext.com/2. Again, choose 32 or 64 bit version. This is a lengthy one but without this you just have a new text editor on your computer that can do syntax highlighting to .go files. If that is enough for you then stop here. If not let's get busy. Restart Sublime Text. Now you need to bring up the command palette with ctrl+shift+p and start typing Package Control: Install Package then press return or click on that option to activate it. You will be presented with a new Quick Panel with the list of available packages. Type GoSublime and press return or on its entry to install GoSublime. Now you have code completion and other IDE-like features provided by GoSublime. There is one more really helpful plugin you should install. This will bind the F1 and F2 keys to popup the go import dialog which will allow you to add from anywhere you are in your file libraries to the top import block. Using Package Control (just like you installed GoSublime) look for and install Go Build. For alternative install informations and other usage and descriptions then go to git. This will bind F5 key to execute your code and F7 to build your executable and Ctrl-F5 to run your tests. Hope this helps, I don't know myself much more than this yet. If you find something cool please share it with me too. Cheers and happy coding.